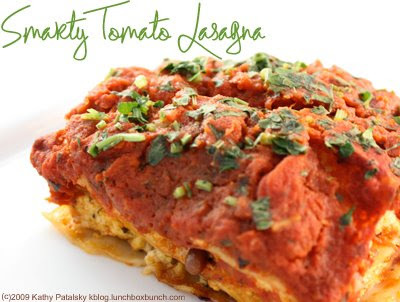 Lasagna is an delicious and healthy recipe to make vegan. 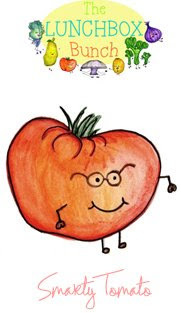 Tomatoes are an excellent source of heart healthy lycopene. And tofu makes this traditionally fat and carb heavy dish quite an excellent source of protein. This recipe uses tofu instead of ricotta cheese. Serve it hot, with a bit of roasted garlic spread, olive oil vinaigrette and a side salad of arugula and tomatoes - and dinner is served. Sauce: In a large, heavy saucepan, over medium heat, heat the olive oil. Place the onions in the saucepan and saute them until they are soft, about 5 minutes. Add the garlic; cook 5 minutes more. PASTA: While the sauce is cooking bring a large kettle of salted water to a boil. Boil the lasagna noodles for 9 minutes, then drain and rinse well. OVEN: Preheat the oven to 400 degrees F (200 degrees C). TOFU FILLING: Place the tofu blocks in a large bowl. Add the garlic, basil and parsley. Add the salt and pepper, and mash all the ingredients together by squeezing pieces of tofu through your fingers. Mix well. ASSEMBLY: Spread 1 cup of the tomato sauce in the bottom of a 9x13 inch casserole pan. Arrange a single layer of lasagna noodles, sprinkle one-third of the tofu mixture over the noodles. Distribute the spinach evenly over the tofu. Next ladle 1 1/2 cups tomato sauce over the tofu, and top it with another layer of the noodles. Then sprinkle another 1/3 of the tofu mixture over the noodles, top the tofu with 1 1/2 cups tomato sauce, and place a final layer of noodles over the tomato sauce. Finally, top the noodles with the final 1/3 of the tofu, and spread the remaining tomato sauce over everything. BAKE: Cover the pan with foil and bake the lasagna for 30 minutes. Serve hot and enjoy. ADDITIONS: Roasted garlic spread on top layer or a homemade vegan pesto sauce are excellent additions. CHEESE OPTIONAL: This recipe does not use cheese. But you can easily add a low fat mozzarella cheese or a vegan rice or soy based cheese. I like a rice singles pepper-jack flavor for this lasagna.